A heart that feels nothing for others has flat-lined in the emotional sense. The heart may still be beating physically, but it is not feeling and functioning the way God created it to be. 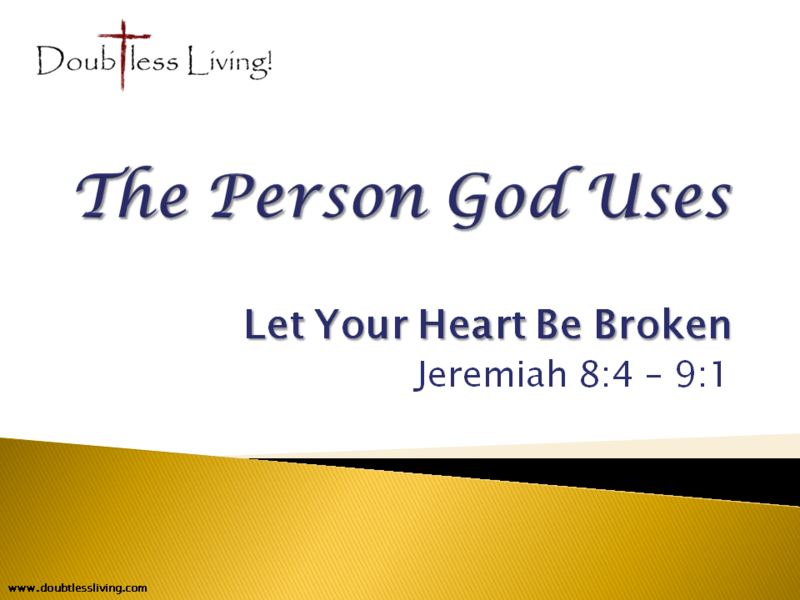 God desires that we have broken hearts for the world He created and loves. He wants us to reach out to the brokenhearted and help them turn to Him.